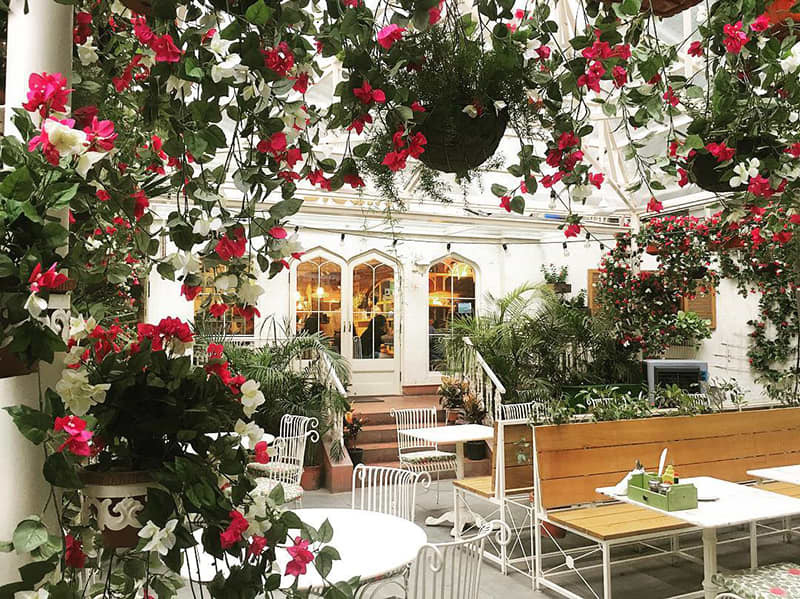 12 Pretty & Insta-Worthy Terrace Cafes Perfect For A Romantic Date With Bae! Hello beautiful people! Do your social media feeds need a few pretty pictures? Well, we’ve got your backs with this super awesome list. For all you peeps who like capturing the world with your cameras, here is a list of pretty and Insta-worthy pictures, that will make you swoon with their beautiful ambience. So, let’s dive into it right away! 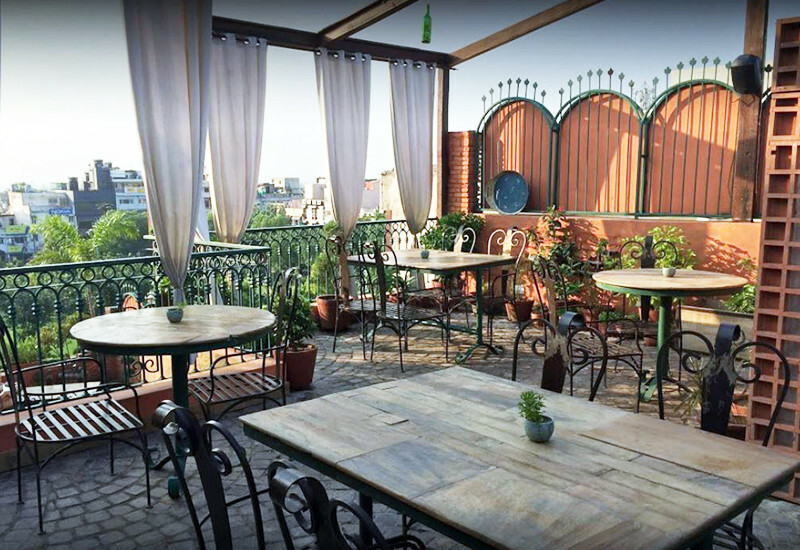 Hauz Khas Social has set a brand name for itself for the beautiful outdoor seating that they have. This place defines the very word quirky. From food to decor, everything about it shouts out of the box! They have little beds with bed table in the middle, on which you can dine while taking in the view of the beautiful lake. Limitless is fairly new and has made a place for itself in the hearts of us, Dilliwales! If you don’t know about this place, let us tell you. 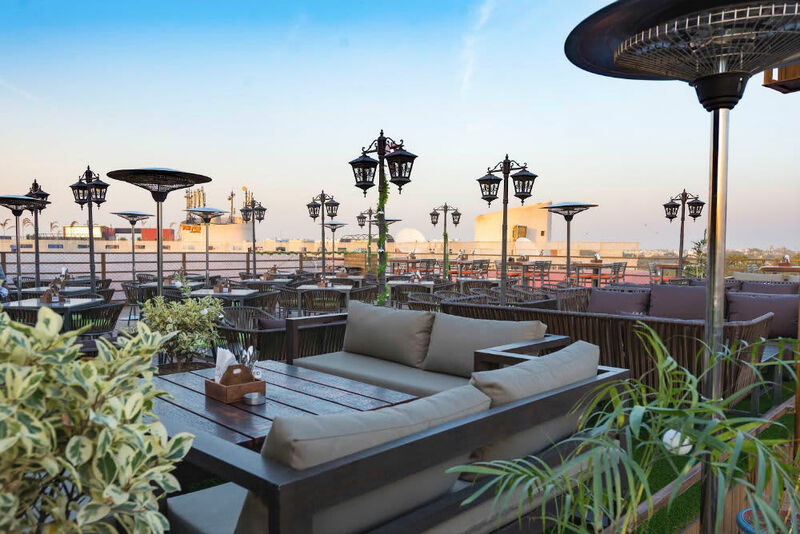 This beautiful rooftop cafe is located on the third floor of Ansal Plaza. This place not just excels in ambience but also has a fantastic menu that includes scrumptious items like Paneer Shashlik Skewers and Mutton Yakhini Pulao, just to name a few! 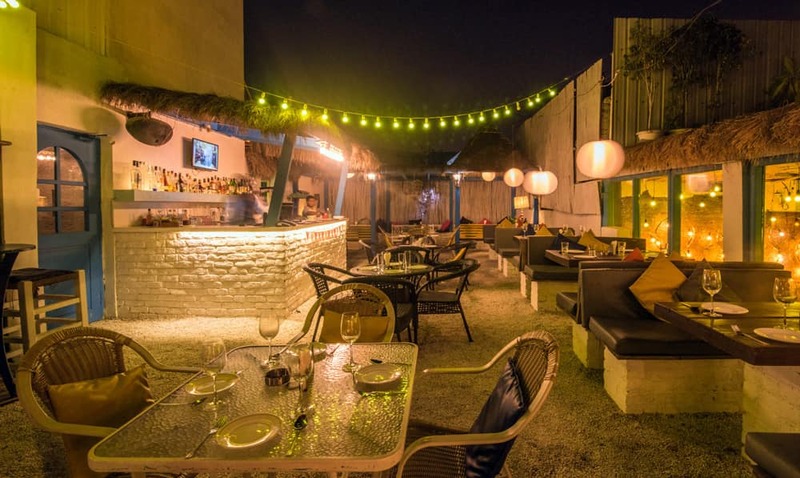 Located in the Kailash Colony Market, this place has a whole chilled out vibe going on about it. They have a fairly large menu and offer some delicious mocktails with interesting names like Mango Julius and Virgin Miami Vice. You can pose with these beautiful drinks and break the internet with pretty pictures! 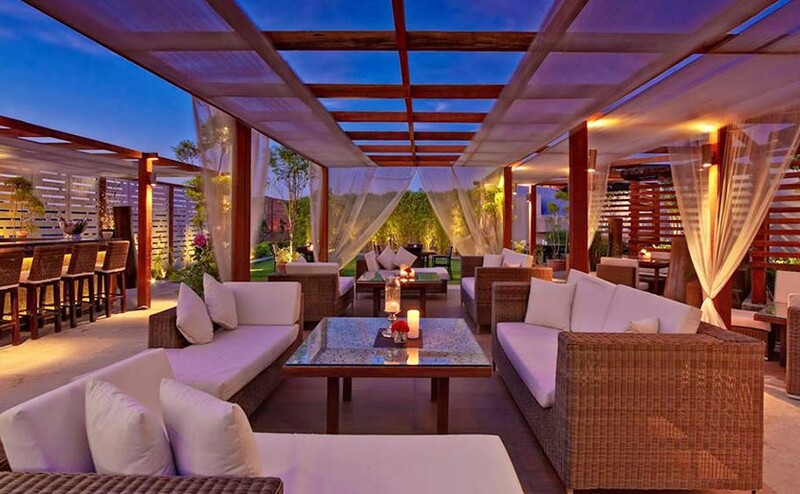 Amalfi is a beautiful rooftop cafe that serves Italian food. This place won’t just make your jaw drop with how gorgeous their terrace is, but will also leave you licking your plates clean. If you haven’t already guessed, this isn’t just a pretty place but also has a menu of lip-smacking Italian favourites like their yummy options in pizza including Pizza Primavera and Pizza al Ragu! 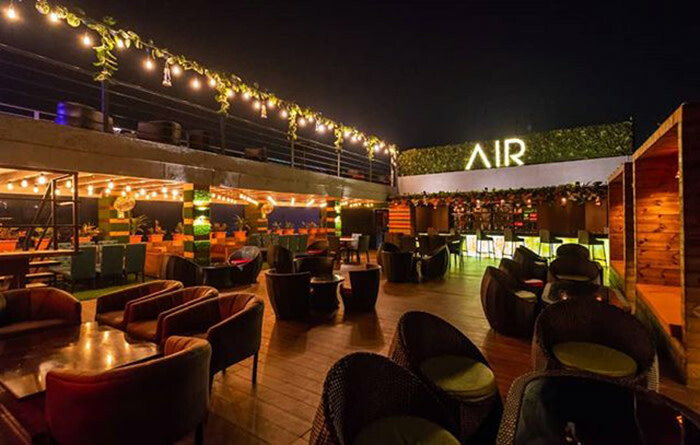 AIR - An Ivory Region is a gorgeous eatery where you can take your bae to for a nice and romantic dinner as you chomp down on their delicious Chinese, North Indian and Continental cuisines. With plush furniture and greenery that surrounds you while you eat, this place is perfect to spend some quality time with bae. The ambience over here is super pretty so, you’d want to make sure to get your couple pictures clicked that you could use as your next DP! This beautiful cafe is located in Civil Lines. They serve you goodies ranging from Indian to Chinese cuisines. They have two levels of outdoor terrace sitting where you’re surrounded by lush green potted plants and an open sky as the roof! Some of the popular dishes at this place includes Khau Suey, Chilli Chicken and Sushi. 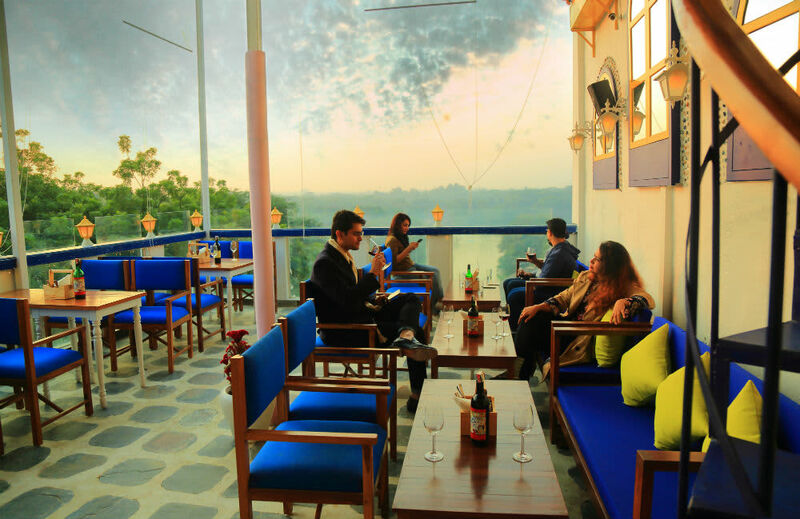 This beautiful terrace cafe is located on the third floor of Ansal Plaza. These folks will spoil you with mouth-watering Continental, Italian and Indian cuisines. They also have a range of delicious drinks like LIIT and Virgin Frozen Margarita, which you can sip on while you take in the glorious view that it presents you with! 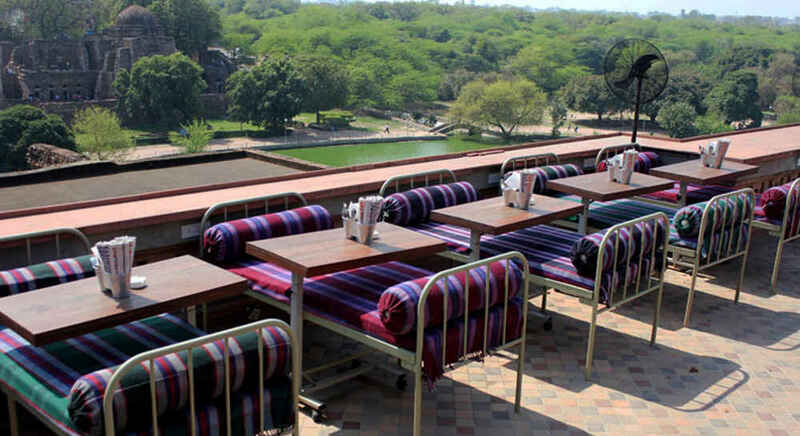 Mia Bella is a rooftop cafe that lets you taken in the dazzling view of both Hauz Khas Fort and lake. They have a European menu and have an equally varying range of drinks. With a European theme as decor, you can make sure to get a cute couple picture, with the view that it offers! 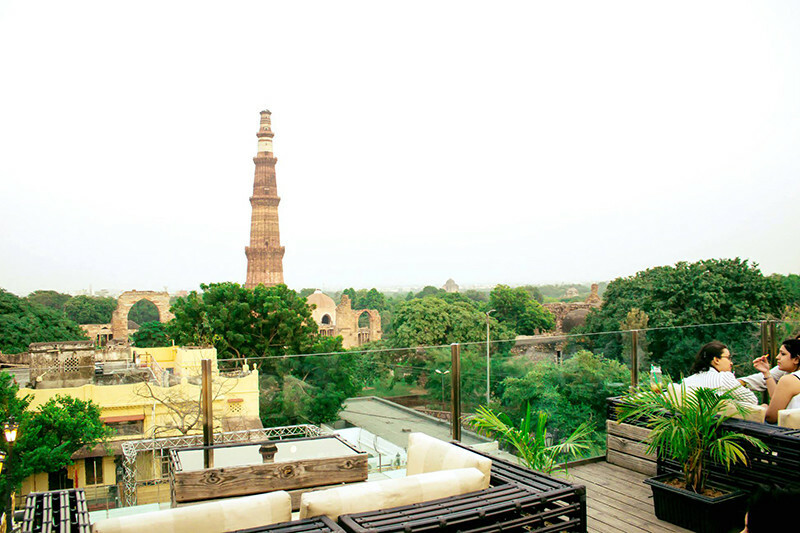 This fetching rooftop cafe is located right next to the Qutub Minar and we can’t get enough of how gorgeous their terrace seating area is! What’s more is that we can’t stop raving about their Butter Chicken and Turkish Tandoori Pizza, both of which are absolute must-tries. Make sure that you get yourselves clicked with the glorious Qutub Minar in the background to dazzle your friends! 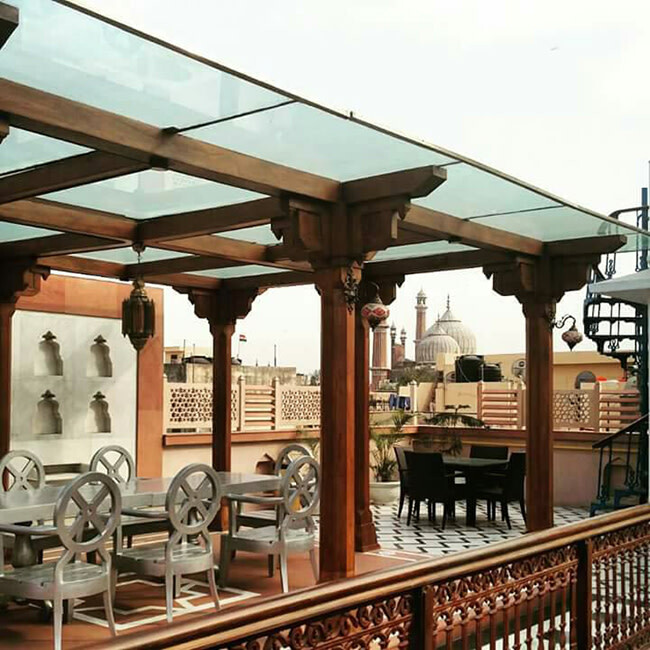 This beautiful gem located in Old Delhi offers you a splendid view peppered with heritage. This fine dining eatery will serve you with scrumptious Mughlai cuisine and a range of kebabs, that will leave licking your fingers. Their Palak Patta Chaat and Kathal Ki Biryani is quite a crowd pleaser. As for their decor, they have plush furniture and you feel like royalty on their gorgeous rooftop and get treated like one as well! 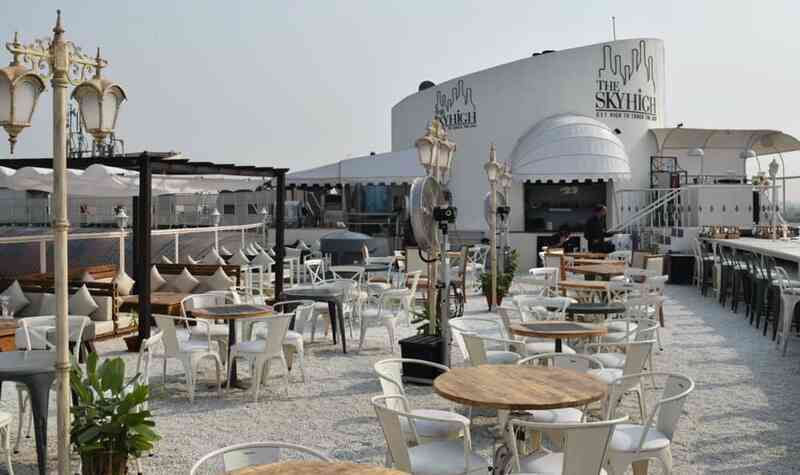 Kylin is a charming open-air cafe located on the roof of Ambience in Vasant Kunj. They serve you with delicious Chinese food and their meal bowl are wholesome & the Prawn Tempura is a must try for all you seafood lovers out there. The beautiful outdoor area has gazebo-like sitting and is decorated with beautiful potted plants and curtains, creating a scene straight out of the movie! Diggin located in Anand Lok has a hill station-y vibe going on in their lounge area while their outdoor area is cute AF. They have furniture that are pretty and gives you a whole European vibe about itself, just like the cuisine they offer. Their Grilled Chicken and calzones are must tries! Get ready to capture the lush green that presents itself to you over here. Folks, head over to any of these fetching cafes and have a romantic time with bae!